I am thrilled to have best selling author, JAMES SCOTT BELL, on today. Jim is the bestselling author of Deceived, Try Dying, Watch Your Back and many other thrillers. Under the pen name K. Bennett, he is also the author of the Mallory Caine zombie legal thriller series, which begins with Pay Me in Flesh. Jim served as fiction columnist for Writer’s Digest magazine, to which he frequently contributes, and has written three bestselling craft books for Writers Digest, including the #1 bestseller for writers, Plot & Structure. Jim talks today about killing our fear. 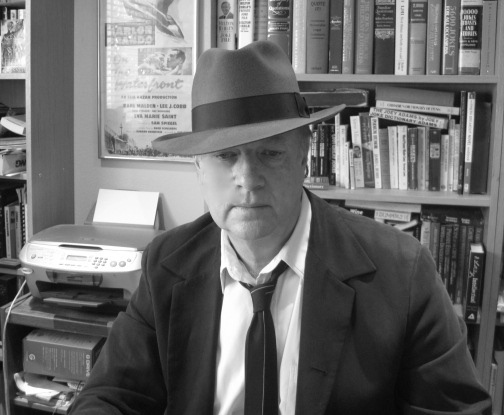 You can also catch him on The Kill Zone where he blogs with other top thriller and mystery authors. I don’t think there’s a writer worth his or her salt who doesn’t, at least occasionally, suffer from some doubt or even fear over their writing. Indeed, if there isn’t any hint of those two emotions from time to time, I’d venture to say the writer doesn’t have sights set high enough. Such a writer is staying in a safe zone, where precious little that is original is produced. Why should that be? Even after one has reached the hallowed halls of publication? Even while in the midst of what might termed a career? Because there is always lurking the idea that the rug may be snatched away. That some little dog will pull aside the curtain and reveal you there, a fraud after all. Even the top writers in the game get this feeling. No less a luminary than Stephen King cops to it. Another reason excellent writers experience doubt is, ironically, excellence itself. Because these authors keep setting their standards higher, book after book, and know more about what premier-pharmacy.com/product/xanax/ they do each pharmacy-no-rx.net/amoxicillin_generic.html time out. That has them wondering if they can make it over the bar they have set. Many famous writers, unable to deal with this pressure, have gone into the bar itself, and stayed late. Yes, you learn to live with them, but how? The most important way is simply to pound away at the keyboard. If a writer were to tell me he never has doubts, that he’s just cocksure he’s the Cheez-Wiz of literature, I know I will not want to read his work. That’s why I think doubts are a good sign. They show that you care about your writing and that you’re not trying to skate along with an overinflated view of yourself. The trick is not to let them keep you from producing the words. Truly memorable writing comes when you take a risk. And risk always involves an element of fear. Take a chance. Try to make something happen, and if you fail, fix it. Go to the places that are scary for you. This is where some of your best material is going to be. It is those authors who carry this off who become popular. To paraphrase Emerson, Write what you fear, and the death of fear is certain. You will become stronger as a writer, and that’s the ultimate goal, isn’t it? Donna, thanks for this great guest post! And Jim, love your sage advice to set the bar high. The writers I like to read that inspire me the most are those who write “upriver” from me–they make me want to swim harder to play in their pool. Loved Palumbo’s quote too: “Every hour you spend writing is an hour not spent fretting about your writing.” So simple and so true! Jim, I look forward to meeting you at The Write Stuff Conference in Allentown in March! Kathryn, glad to know it inspired you! Palumbo’s quote is a good one to keep on hand, I agree. I’m also looking forward to Jim’s workshop and keynote at The Write Stuff Conference in March! We’re sure to get a ton of great advice and techniques from him there. Thanks for the venue, Donna. And I look forward to seeing you and Kathryn in PA.
Jim, likewise! Thanks again for coming on. What an excellent guest blog! Thank you so much for sharing this with us. It’s just what I need to get over my “meh” phase, and like Kathryn, I loved Palumbo’s quote. Just perfect! Stacy, it is a good post to give us a boost when we need it in our writing – and just keep writing to move through it. Thanks for reading! Great advice and I love the quotes. I think the toughest part about putting our work out there is that it somehow is a measure of our worth. If my book fails, that means I’m a failure. You don’t like what I wrote, that must mean you don’t like me. It’s very difficult to separate ourselves from our work sometimes. Lisa, you bring up a strong point that many writers grapple with – tying our self worth to our writing successes and failures. That saying “It’s business, not personal” is a hard one to connect to in the business of writing. I agree we need to keep that in the forefront – separating ourselves from our work at times to gain a healthy perspective. And keep writing what we love for ourselves first. Great post. Good to know that lots of authors have anxiety about their writing, and are looking to challenge themselves every time they sit down in front of their laptops. Great post, energizes me to write and trample my fears! Thanks Donna for posting this! Jim, LOVE the fedora! Cory, am thinking of getting a fedora myself to fuel my writing! Glad Jim’s advice energized you! Great Information… I met a psychiatrist in Spain and we had a long discussion over dinner. I voiced my theory that people that write fiction are actually venting mental baggage through their characters and the actions within the story and are, as group, are better off. Writing about fears has got to be a form of rehabilitation. Excellent guest and even better advice.